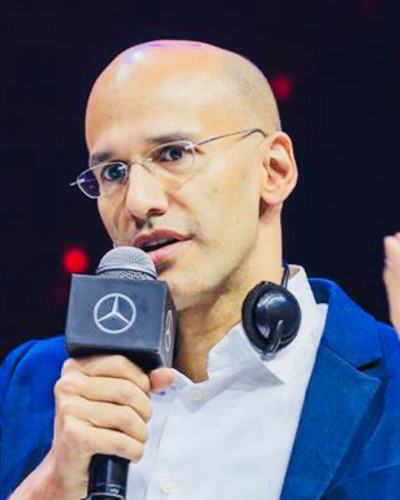 Since April 2018 Marc-Oliver Nandy is the Director of Digitization Sales and Mercedes me at Mercedes-Benz, Daimler AG. He is responsible for build and run of innovative, digital products of the Mercedes-Benz brand along the digital customer journey. Further he is in charge of Mercedes me, the mobility and service brand for digital services in and beyond the car. as well as the group’s own digital partner Mercedes-Benz.io GmbH and is located in Stuttgart, Berlin and Lisbon. The interdisciplinary teams work in agile working forms in order to be able to implement ideas in a customer-centric manner at the highest speed. This makes him a one of the primarily responsible for the digital transformation of Daimler AG.